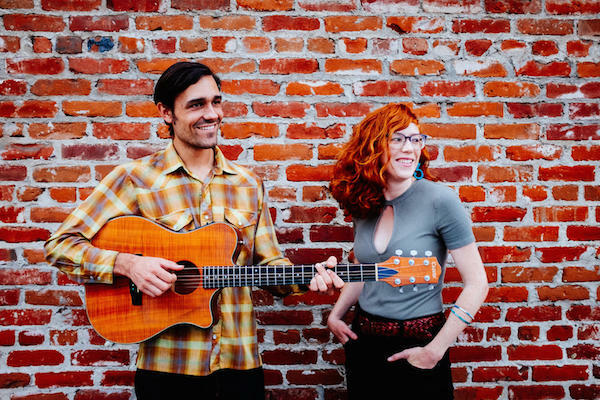 San Pasqual Winery presents music acts: Gealy & Robinson on June 3; Andrew Parker Davis on June 10; and Joel Tuttle on June 17. Seating is first come, first served. No cover. 7–10 p.m. at La Mesa Village, 8364 La Mesa Blvd. Visit bit.ly/2kIRWXx. San Diego Native American Flute Circle performs a free concert the second Sunday of each month at The Mission Trails Regional Park. 3 p.m. at the Visitor Center, 1 Father Junipero Serra Trail. Visit bit.ly/2pI4jpk. The city of La Mesa presents a free Summer Concert Series featuring local bands in June and July. Family-friendly. Upcoming concerts: SD Concert Band on June 11; Ginger Cowgirl on June 18. 6-7 p.m. at Harry Griffen Park, 9550 Milden St. Visit lamesaparks.org. Support college artists and stop by the Annual Spring Art Exhibition. Free admission. The exhibit is open 9 a.m.–5 p.m. Monday through Friday. Communication Arts B Building, East Wing, Third Floor at Cuyamaca College, 900 Rancho San Diego Parkway. Visit bit.ly/2pepWgg or call 619-660-4027 for details. Mission Trails Regional Park Foundation will display the work of four award-winning artists: Kendra Francis, Ellen Parry, Julianne Ricksecker and Pamela York. Free admission. A reception will be held on Sunday, June 4, 1-4 p.m. The exhibit is open 9 a.m.–5 p.m. at MTRP Visitor and Interpretive Center, 1 Father Junipero Serra Trail. Contact Vicky DeLong at 619-286-1361. Calling all artists and art lovers! Show, sell or buy handmade items every second and fourth Sunday at La Mesa Craft Corner. 10 a.m.-4 p.m. at La Mesa Boulevard and Allison Avenue. Visit bit.ly/2q8NrZd. Mission Trails Regional Park’s 25th Annual Amateur Photo Contest runs through May 31. Visit the park and take a photo to enter. The reception and award presentations will be at the Visitor Center on June 25 with photos displayed June 17 until July 14. Visit mtrp.org/news. Nainsook Framing & Art offers events including Alcohol Ink on Tile and Intro to Watercolor. Art styles and times vary. $35 cost per person. Events held at Nainsook Framing & Art, 8310 La Mesa Blvd. Email nainsookframing@gmail.com or call 619-303-8060. Lamplighters Community Theatre presents a romantic, musical comedy about a professional composer and quirky lyricist falling in love. Tickets $17-20 online, through the box office or by phone at 619-303-5092. Group rates available. 8 p.m. on Fridays and Saturdays; 2 p.m. on Saturdays and Sundays. 5915 Severin Drive. Visit bit.ly/2pjsdnB. Star Repertory Theatre presents their adaptation of the Disney classic to entertain both children and adults. Tickets $29 online. Times vary. All productions held at Lyceum Theatre at Horton Plaza, Downtown. Visit bit.ly/2pHG8Yh. 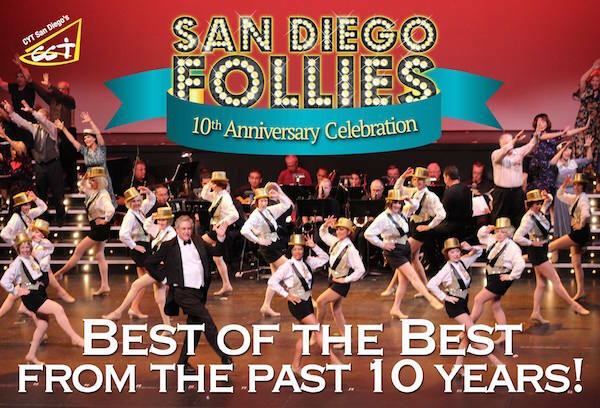 Christian Community Theatre presents the San Diego Follies’ summer music and dance performance. Tickets $25-40 online. 2 p.m. and 6 p.m shows on Thursday-Saturday; 2 p.m. show only on Sunday. Lincoln Performing Arts Center, 4777 Imperial Ave. Visit bit.ly/2q8ICiE.